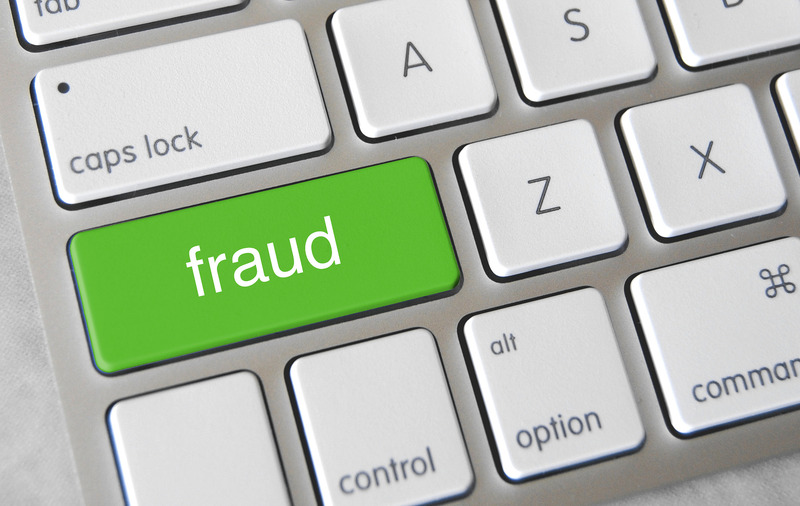 Over the past couple of years, tax fraud and identity theft have been on the rise. We have tried to warn everyone when a new scam comes up. We’ve covered many ways thieves have used to steal your money and/or your identity. There have been phone calls demanding money, the IRS has been hacked into, and most recently fraudulent tax returns have been filed. There is a way you can minimize the likelihood of someone filing a fraudulent tax return in your name. File early. How are thieves able to pull this off? Employers are required to file W-2 forms to their employee and the IRS each year. They must send the W-2 forms to the employees by January 31st but they don’t have to file them with the IRS until the end of February. That means there is one month where a tax return can be filed before the IRS gets the forms, they have no way of verifying that there is going to be a W-2 form to match it. So if a thief has stolen a taxpayer’s identity, they use the that person’s name and social security number to make fake W-2 forms and file a fake tax return so they can steal large refunds. They start in January as soon as the IRS starts accepting tax returns. If the taxpayer waits until after the end of February to file their return, their tax return will be rejected because the tax return has already been filed n their name and social security number. To correct this, the real tax payer has to mail their tax return to the fraud division of the IRS. They will receive a letter from the IRS and they must call the IRS to verify their identity. Then they will receive a PIN that they must use to file for the next three years. This process takes weeks sometimes months to complete which also delays refunds. Again, the best way to avoid this particular scam, we suggest you file your tax return as early as possible. If you haven’t heard, Soulence has moved locations. Our new address is 13961 S. Minuteman Drive, Suite 101. If you visited us at the previous office, then you shouldn’t have any problem finding us. We moved one building to the northeast and our entrance is now on the east side. We have settled in well and really think that this was the right move to make. We have more space so that we can work more efficiently to bring you the service that you have come to expect from our employees. Soulence is also currently conducting year-end tax reviews. If you are concerned about what your taxes may look like in the next year or if you just want to be prepared, a year-end tax review is a good way to go. We can look at everything that has happened for you and/or your business and decide if you need to make a purchase to help improve your taxes or if you simply need to pay into taxes. We’ll work together to come up with a plan for next year’s taxes that will be best suited to you and/or or your company. If you have any questions or would like to schedule a year-end tax review, please contact us. There is good and bad news on the IRS front. Congress slashed the IRS budget by $838 million dollars for 2016. The IRS has not seen this low of a budget since 2004. Between the budget cuts and the recently added responsibility to monitor the Affordable Care Act, it is causing a lot of problems for the IRS. So what is the good news for tax payers? The good news is that this cut will reduce the IRS’ ability to audit and collect delinquent taxes. There will be fewer auditors and collections officers available. Less random audits (pull your name out of a hat type audits) and there will be more paper audits which generally just ask for proof of a specific item. The bad news is that because there are fewer employees available, it will be more difficult to get through to the IRS for questions and information. Between 2010 and 2015 there was a 25% drop in answered phone calls. This will only get worse. When and if you do get through, they officer will be less likely to provide any information that you could have found on the IRS website. Also, correspondences with the IRS and Amended returns will also take longer to process. Fortunately, Soulence Tax and Accounting is on your side. We often have the answers to your questions and can usually decipher a letter from the IRS. We are also experienced in navigating around the IRS website. Before you get too frustrated with the IRS, feel free to contact us. Are You Missing Out on the Vehicle Expense? The vehicle expense is one that many people miss out on, which is unfortunate because it is a great tax saving deduction. If you think the deduction isn’t significant enough to really make a difference or feel that it is too much of a hassle to keep track of, you’d be suprized how much it can save you at tax time. Actual—the cost of driving: repairs on the car, fuel, maintenance, etc. Mileage—the total miles the car is driven for work. Each tax return is different, so deciding whether actual expense or mileage would be best depends on your or your company’s situation. Sometimes one is more helpful than the other. If a vehicle is used for both business driving (say to meet a client) and for personal driving, it may be easiest to simply keep track of the miles the car is driven, rather than taking the actual expense. If actual expense is taken, you would still need to keep track of the miles on top of the expenses so that we could take out the percentage that you drove the car for business. If the car is owned by a company and used solely for business purposes, actual expense may be a good option. You would need to keep track of the expenses listed above on the vehicle so you can have an accurate amount to deduct on your return. Contact us at Soulence to see if the taking the vehicle expense is right for you. As tax season has started, we have had many people with concerns over the “Shared Responsibility Payment” as well as the business owner’s responsibility to provide health insurance coverage to their employees. Let’s start with the Shared Responsibility Payment. If you did not have health insurance for all or part of 2014, you are required to pay a fee for not having insurance. This fee is called the Shared Responsibility payment and goes into a fund to pay for the credit for those who qualify to get assistance with their insurance premiums. So far we have seen payments between $25 and $500. The fee is based on your income and how many months you were uninsured. What about the responsibility for business owners to provide health insurance? For most small business owners, providing health insurance is not an issue. For 2015, companies with 100 or more full time employees must offer health insurance coverage to full timers or pay a tax. Full time employees are those employed at least 30 hours a week on average. Starting in 2016, firms with 50 or more full time employees will be subject to the tax. Also required coverage will be expanded to include dependents, including kids up to age 26. The fines for non-compliance are stiff. For 2015, the fine is $2,084 times the number of full time employees less 80. Next year the fine will increase dramatically. There is also an unaffordable insurance tax. This is a fine that companies will receive if the insurance they offer requires the employee to pay a portion of the premium that exceeds 9.56% of his/her wages. Also, the employer must provide at least 60% of the cost of the coverage. The good news is that most small businesses have fewer than 50 employees. However, if you feel a moral responsibility to help pay for your employees’ health insurance there is one very important thing to understand. Your employees can go on the exchange and get their own health insurance and often get a lower rate and a tax credit. If, as an employer, you want to pay for part or all of the insurance premium, you must be very careful how you do it. You cannot give the employee a health insurance reimbursement or allowance. The only way you can do it, is by increasing their pay. You can give them a bonus or increase their wages by the amount you want to contribute to their insurance. The normal withholding and other payroll expenses will apply. For tax purposes, it will not be considered pre-taxed and what they do with the money is technically up to them. This is just a brief summary of the employee health insurance issues. If you have questions about your particular situation, please feel free to call us at Soulence. We have the resources to assist you through this complicated Affordable Care Act maze.